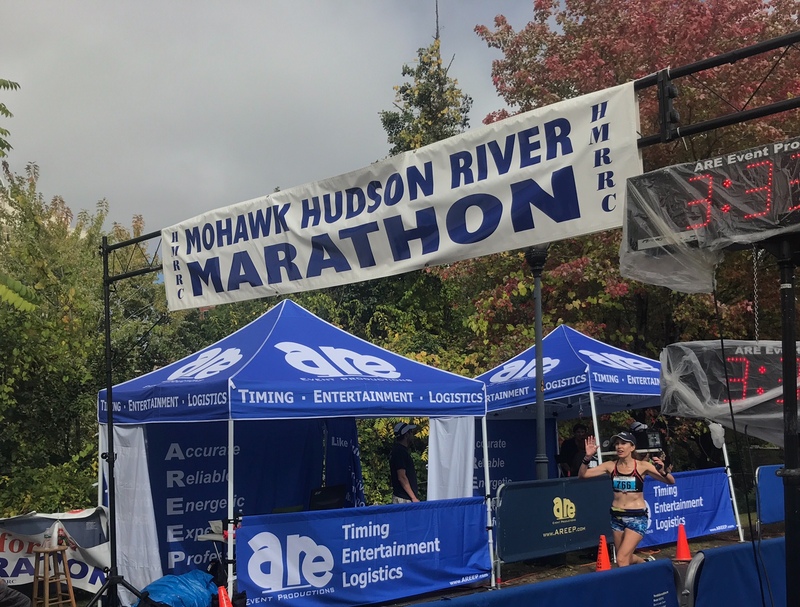 Hudson Mohawk River Marathon Race Report: Last Marathon. In the bag. After the expo we walked around downtown Albany for a bit with Juan. It was very quiet. 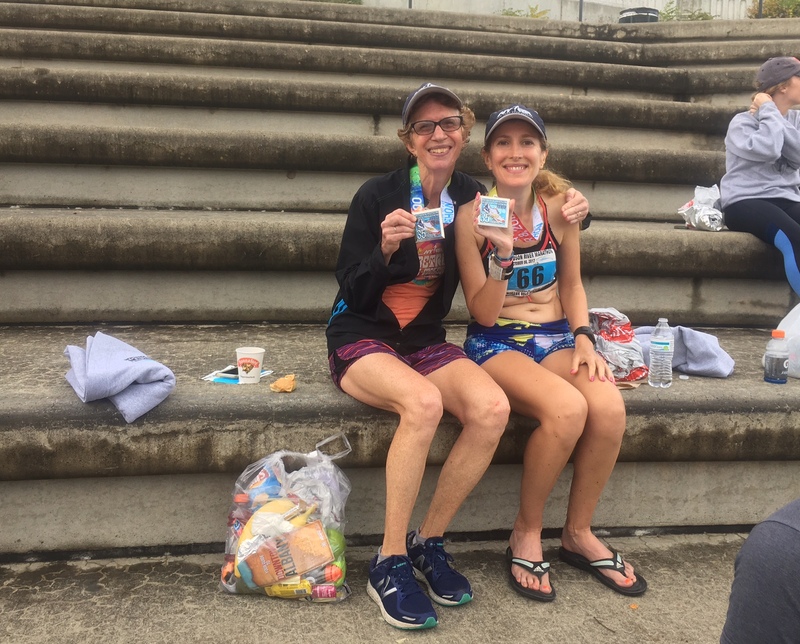 We settled in our Airbnb apartment which was right across the street from the Executive Mansion and less than a mile from the race finish line and the morning busses to the start. Very convenient. I was still not sure if I was going to race but I got ready anyway. My main problem was that it was going to rain, or thunderstorm, and the temperature was in the 70s very early in the morning. I wasn’t sure how that was going to pan out but I decided that if I was not having a good day, I would drop out at 16, 18, or 20. Ugh. Scary. Hot. Humid. Thunderstorms!? What to do? Literally NOT WORTH IT. But… I am here, I might as will get a long run out of it. Gordon and I got on the bus to the start. The ride was about 30 minutes and completely stress-free. There were barely any lines for the porta-potties when we got there, everything was so simple. At 7:55, we took our extra layers off, it was raining. Fine. I saw Wayne at the start with the 3:45 at Pacer sign. I lined up with him and then I saw Dave also, from the Flyers. Soon enough, we were off in the rain. It felt OK, actually, because without the rain it would’ve felt too humid or hot. Dave run ahead and took this shot below, thanks Dave!! I was trying to slow down because the first miles felt like it was too fast. Who knows what kind of day is waiting for me out there, let me be careful! I kept trucking and had a gel every 5 miles. I got to run the first 2 miles with Dave but then we separated. Actually, after about 5 miles I had caught up to the 3:25 pacer and I was running right behind him all the way to about mile 12. Why? No idea. It felt “comfortable”. My average pace until then was about 7:50ish (which was about a 3:25 finish). Miles 12 to 16 were a blur. I was starting to get bored and the music wasn’t doing it for me. Soon enough, when I saw the 17 mile marker I was in shock: it was going so fast. I was in for a 2-3 min PR if everything stayed that way. Or better, as I would usually do, I would pull a big negative split. Then it happened, basically all the bad things happened at the same time. It stopped raining, so I got really hot, the humidity made me feel like I couldn’t breathe AND we had a CRAZY headwind. It was like the perfect storm. We all started slowing down a lot and struggling. I actually tried to stay behind a few people just to block the wind, but it wasn’t working. We had had wind the whole way but for some reason, in this portion of the course, it wasn’t helping me cool down, it was throwing me off so hard that I could barely keep the pace. I really felt myself struggling to keep pushing. If the weather had been the same since the start, I would have adjusted my pace accordingly. It was too late now. We were too deep into the mileage, and I figured I would start suffering a lot more soon. 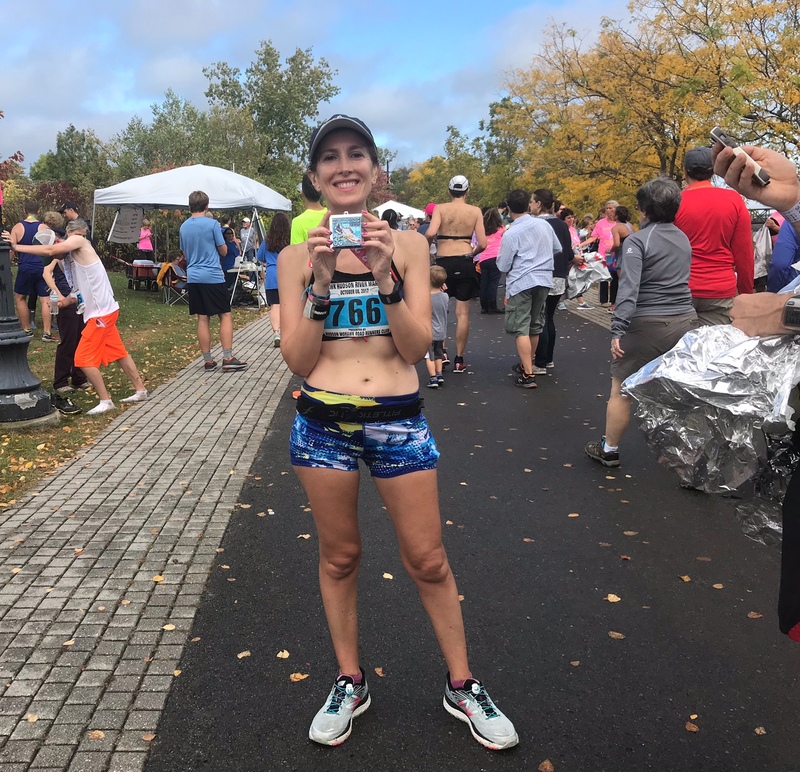 I had been under 3:25 pace until then and I started losing it. I wish I had en extra gel to help me out. The rain stopping made me so so so hot. The humidity was insane. I considered dropping. Like every 10 seconds. I was having such a hard time… then I started thinking. If I dropped, having done 20 miles at around 7:50 pace, I would still be really tired for a few weeks. I would also feel tempted to do another marathon in a few months to use up my fitness. So I thought about it, and I thought about it and I decided to just finish the race because I didn’t want to have to do this again. Ever. EVER. 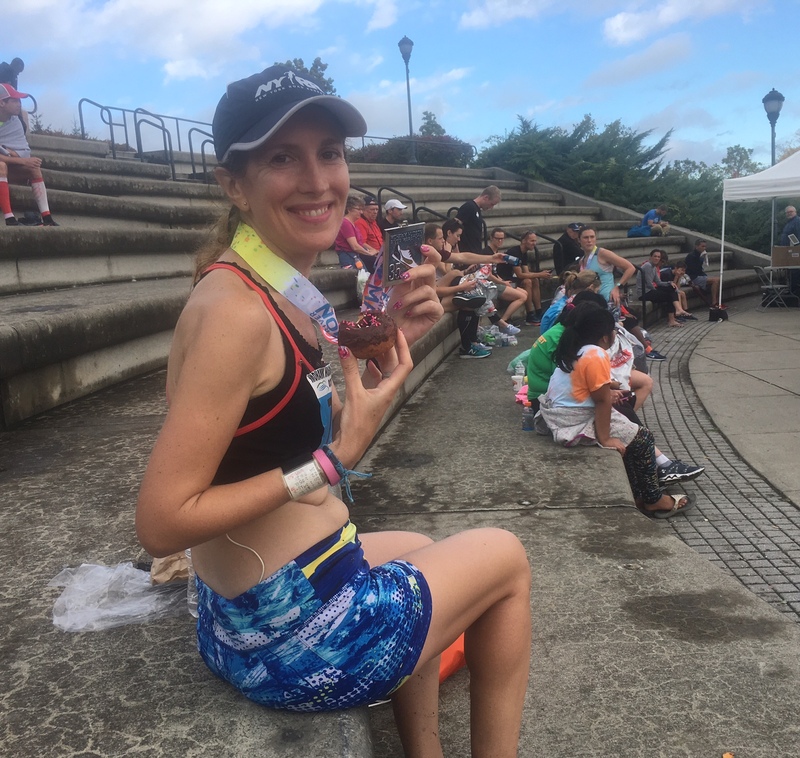 I remembered why I stopped doing marathons three years ago: I don’t like that the pace is so slow for that long… you have to wait about 18 to 20 miles finally to go HARD…! It’s a long wait. It takes a lot of patience. Anyway, that was it. This was to be my final marathon and I was going to finish it. 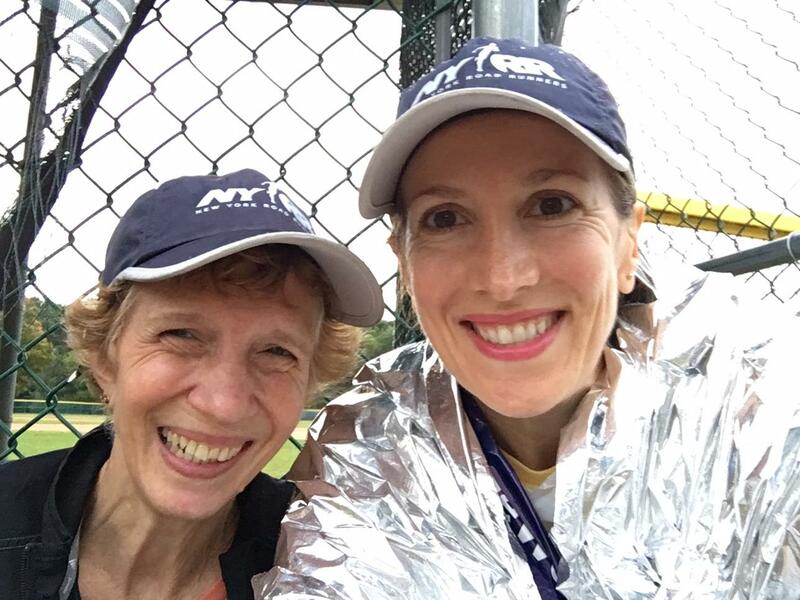 The problem was… I didn’t have a lot left in me, fighting all the wind and the humidity. Oh, and my music player died. My last 2 miles were me just trying to hang on for dear life. I sped up a bit, once we changed direction and the wind faded off, but the humidity was there and it was hard to pick up the pace. It was very ironic that I had been worrying about the rain all week, and all I wanted in the second part of the race, was more rain!! 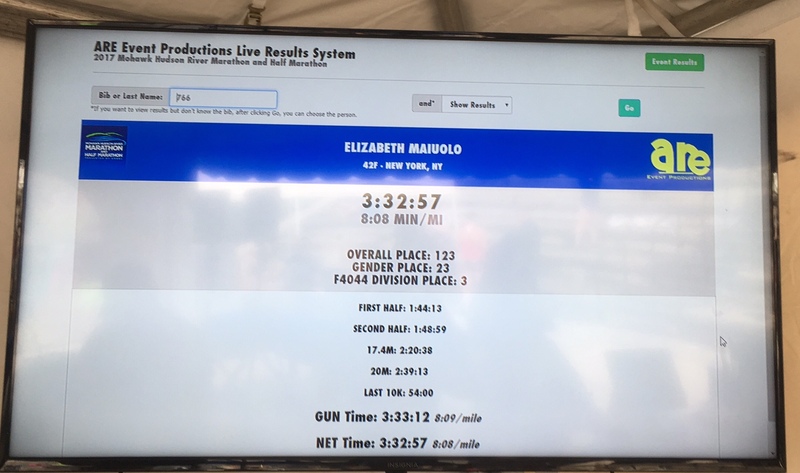 I finished in 3:32:57. 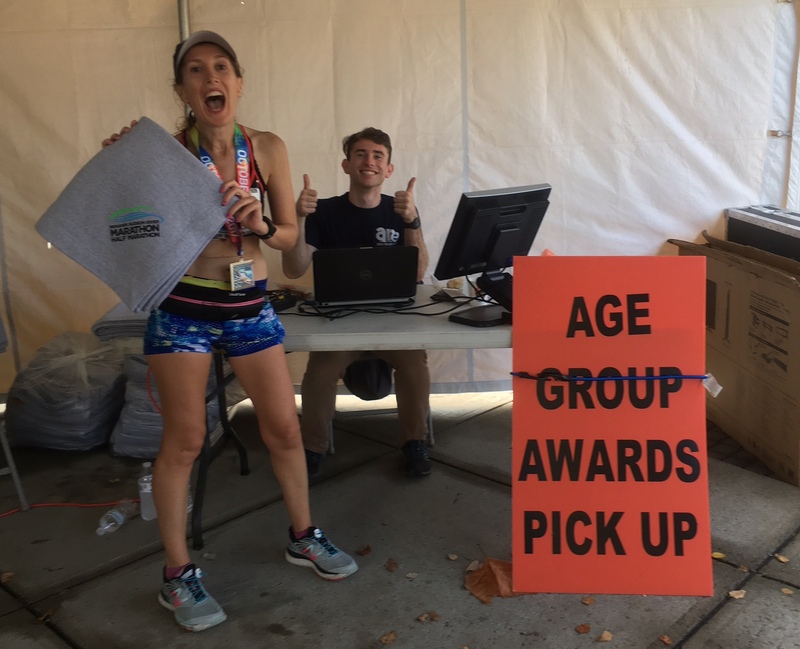 23rd woman, 3rd in my AG. Not close to my 3:27 PR but, given the conditions, I’ll take it!!!! Splits are the biggest disaster in race history. YUK. I’ll take my award too! Thankyouverymuch! So, at the finish, I chatted with a of people. Everyone struggled, mostly in that same patch I mentioned. Gordon, who won her AG, came about 15 minutes slower than her expected time (though she was on pace for a 3:07). Everyone I talked to fell apart. Even the male winner was cursing and shocked and upset about his time. Isn’t that the beauty of the marathon though? There is always going to be a curve ball. They are always unpredictable. And that is the allure. Right? You just deal with the mess, the disaster, the curve ball. There’s very few cases where a marathon goes right. Very few. But I think that is what makes it so special. And that is it. Legs are tired, but we are recovering!! 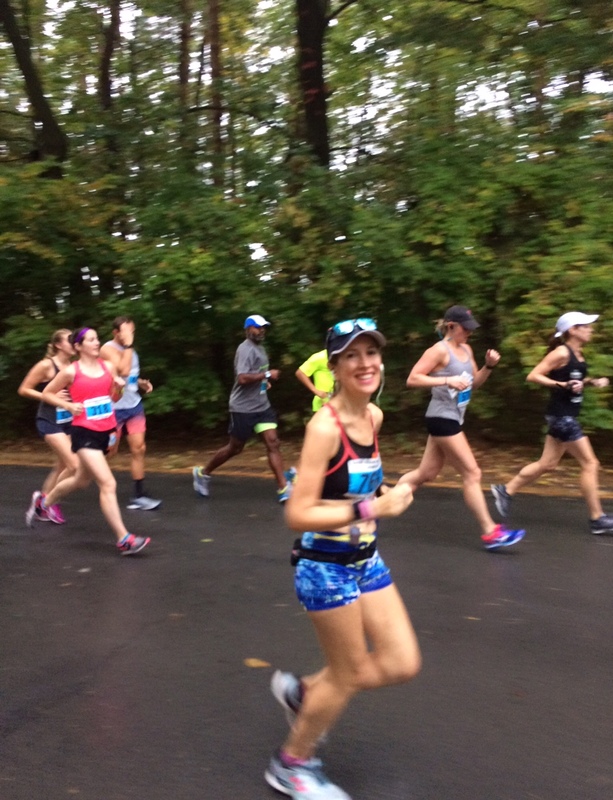 So for the record again: no more marathons for me. There is a reason I had stopped. I remember now. This was IT. Back to my beloved Halves and what not. Thank you all for the love, best wishes, support, miles and inspiration. 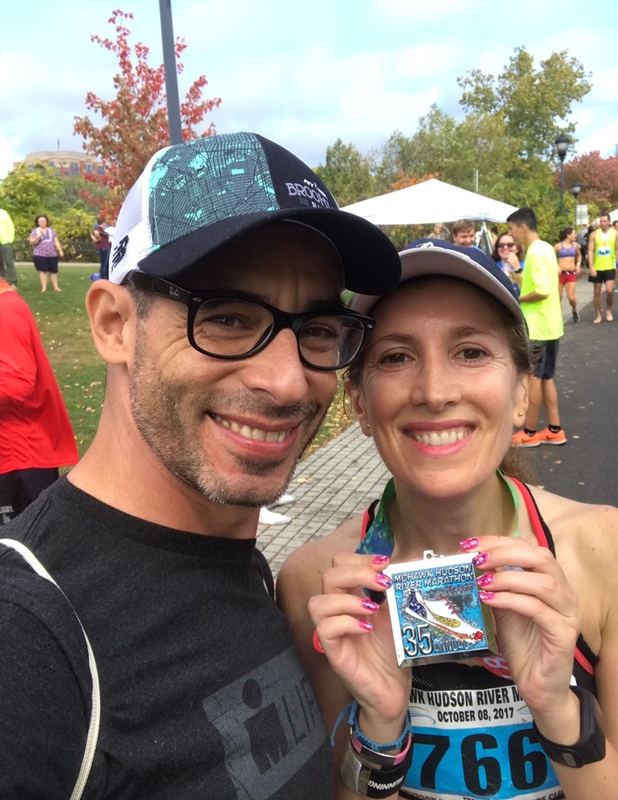 I carried two things with me today: Juan telling me I was the most obsessive and strong headed woman he ever knew, and Carolina repeating my own mantra I gave her for her last marathon (and knowing she’s currently injured and unable to run). I also kept thinking what a luxury it is to have a body that can run a marathon. Distance is HARD and most people can’t do it. I kept remembering how sick I was a month ago that I couldn’t eat (or even drink water) or even go up the stairs of the subway. I felt really lucky to be running. And feeling strong. We should never take that for granted. 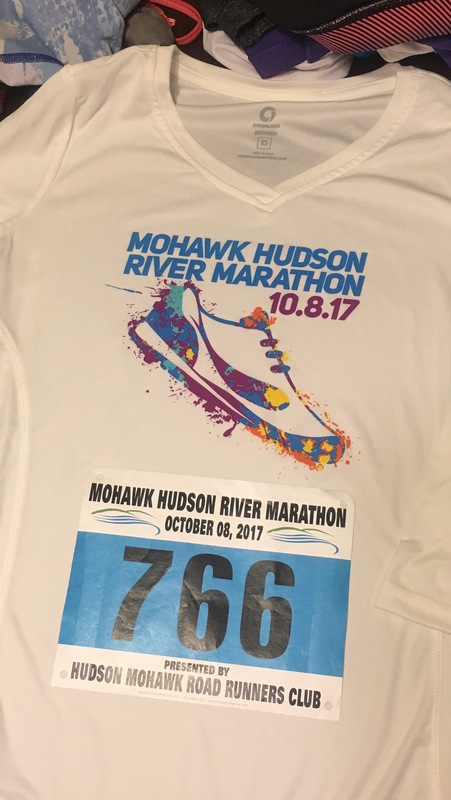 ← marathon this weekend – what to do? Awful, awful, awful conditions, and you still rocked the 3:30. Let’s talk about the “last marathon” vow in another three years. Ha. 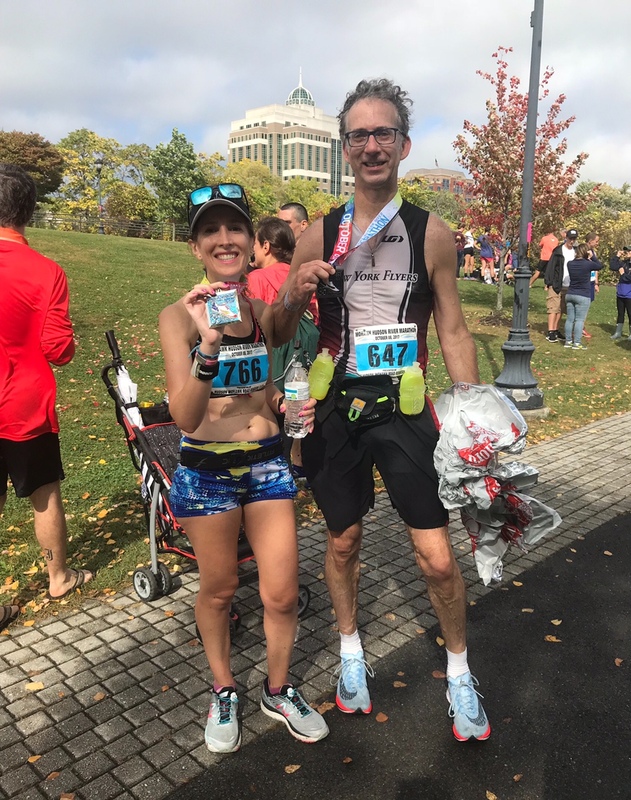 congrats on completing such a brutal race!